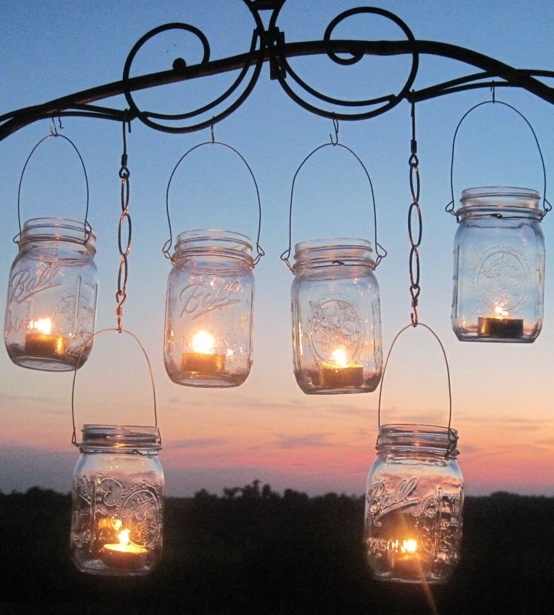 If you have a couple mason jars handing around, and no clue what to do with them, this collection is for you! 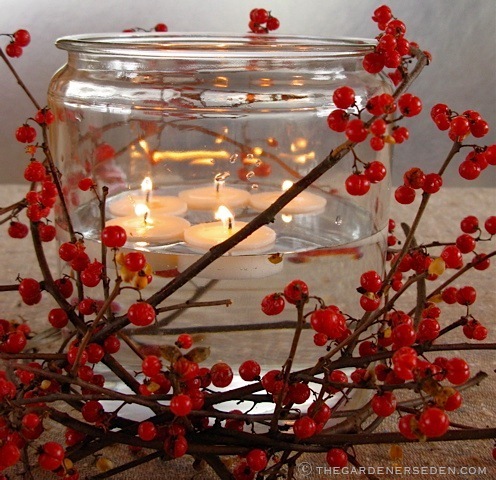 Turning those jars into beautiful, homey Christmas candle holder is easy to do, and can make a truly impressive holiday accent. This stunning candle project from ShabbyArtBoutique.com is simply amazing!! Complete with fake snow, this icy display is a perfect addition to you Christmas decor! The instructions on the page is perfect and detailed, so no explanation needed! 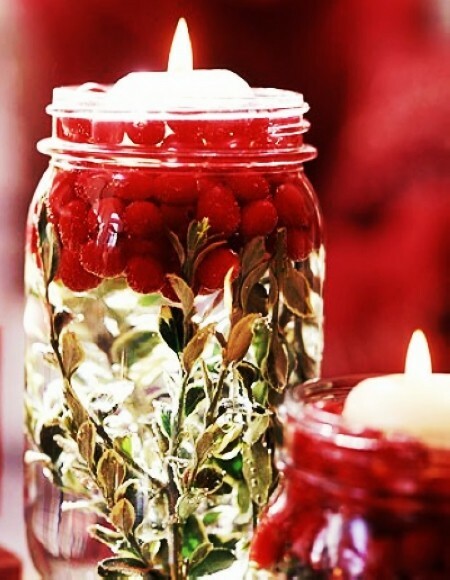 Turn the jar into a floating candle display, add some greenery , pine cones, acorns, glitter or whatever catches your fancy to create a beautiful unique display! 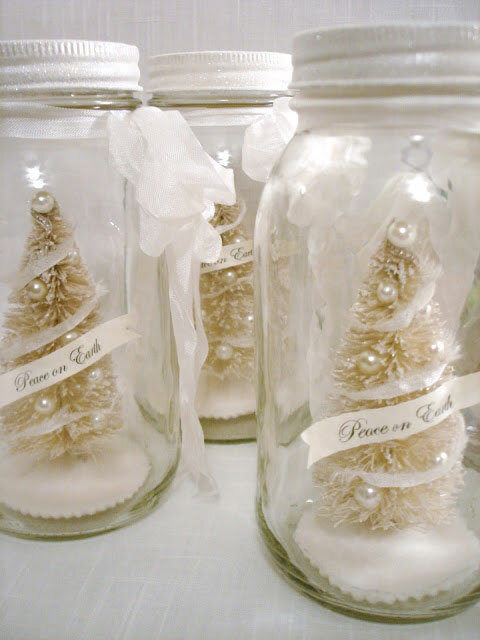 Place a votive candle in each jar and hang at varying heights for a magical Christmas display. 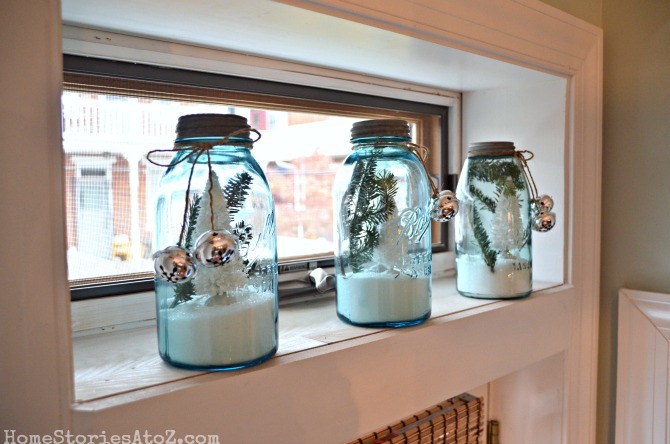 I love this idea, turning that old mason jar into a holiday scene with Christmas trees, snow, snow men or greenery! this could be fun to make with older children, and let them use their imagination to create something that they’ll simply love! 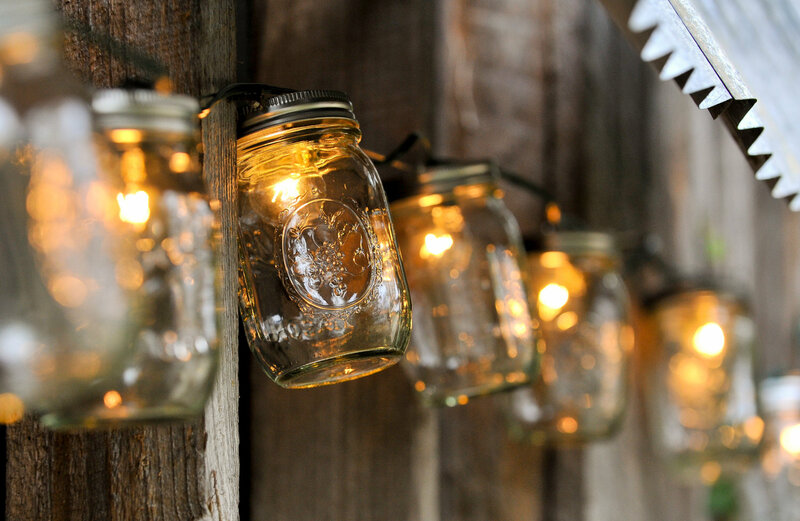 Use Mason jars to jazz up and enhance your outdoor lighting. 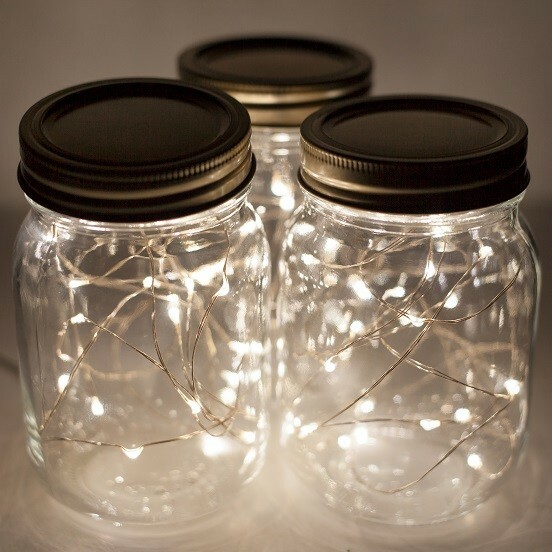 Fairy lights in mason jars can be a beautiful addition to your outdoor Christmas display!